After buying lots of MAC lipsticks I go back to one of my favorite brands Chambor. When it comes about buying something different. 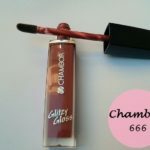 Yes I really like Chambor when it comes to drugstore makeup. I am a die heard lover of lipsticks. 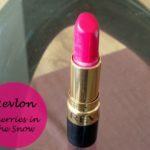 So when it comes to buying lipsticks I always say whatever comes..your lipsticks will stand beside you! 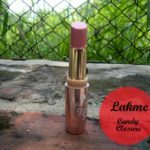 Chambor Powder Matte range comes in various shades. 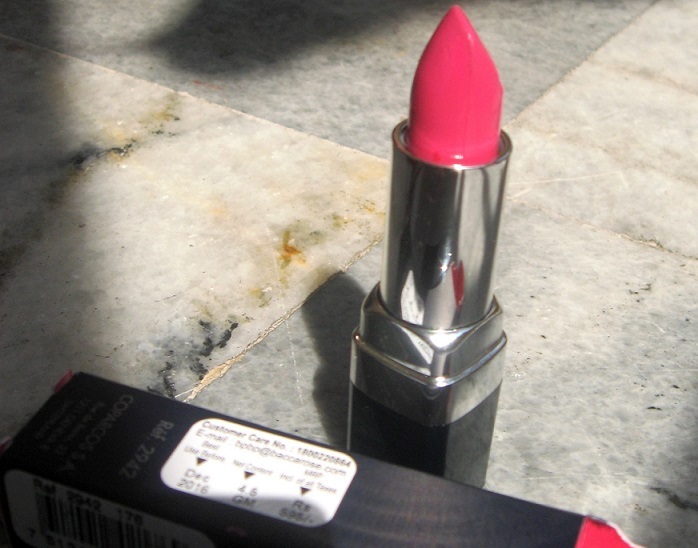 Recently Chambor launched three new shades in the same range with a price price (the bad part I guess) to Rs.595. Among the three new shades one is Cherry Red, other is Rust Brown and the awesome one is pink. And it is very obvious which one I picked. Pink isn’t just a color , it’s an attitude! So I will review and swatch Pink Flamingo today. The lipstick comes in an all new packaging with a glossy black case. I think it is much better than the old one as that tends to get dirty easily. The case is really sleek and a silver rose is printed on top of the case. 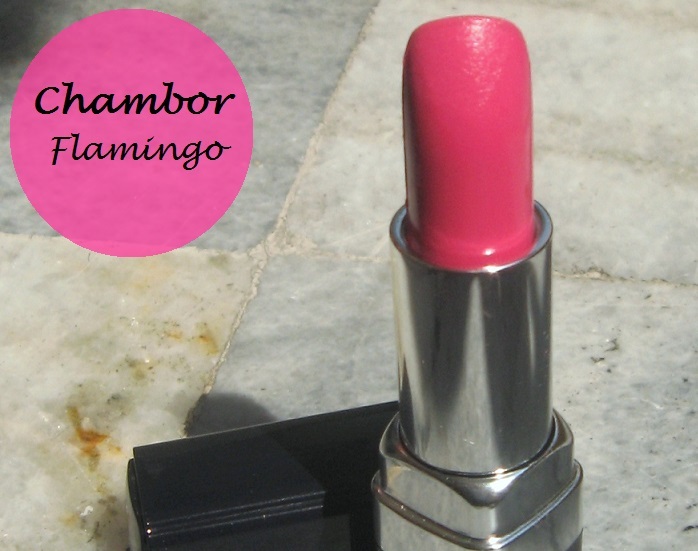 Chambor Pink Flamingo can be described as a bright pink that really brightens up my NC 35 skin tone. 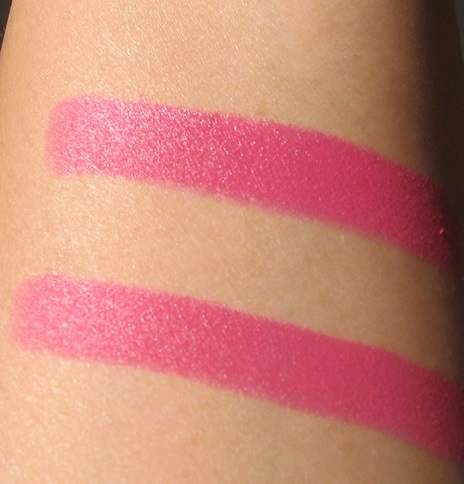 I really like the shade; it is just perfect for fair to medium skin tones. But as the shade is a bit neon so it might wash out a bit, so in that case toning down the shade works. 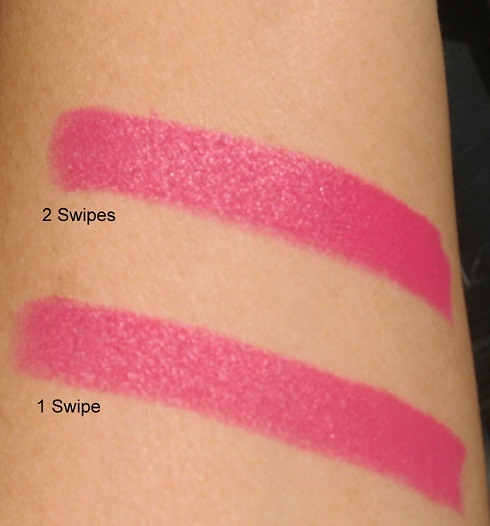 One swipe of it is enough to get the shade but 2 swipes get you a neon pink. 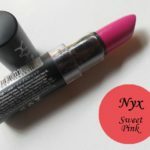 The texture of the lipstick is powdery matte, a true love for matte lipstick lovers. 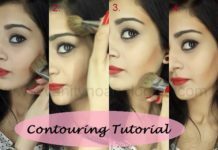 The lipstick although is matte but glides smoothly on lips but it accentuate fine lines by setting into matte finish after a few minutes of applying lipstick. 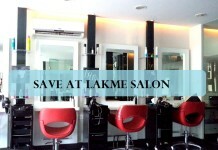 It may look patchy or uneven if proper exfoliation is not done. Dry lips people should avoid it as it might be really drying for them. So application of a lip balm is must. The lipstick stays on for pretty much 5 hours on my lips with slight fading after heavy meals. It has no smell at all. 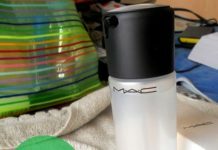 It is matte but removing is easy as it wipes out easily with my makeup remover leaving a slight pink stain on lips. Matte in texture so perfect for matte lovers. Pigmented and gives a bright pop of pink. 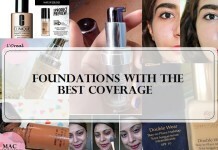 The shade brightens up fair to medium skin tones. Might be a little dry for dry lips. Accentuate fine lines of lips. Might look patchy or uneven on lips if proper exfoliation is not done. 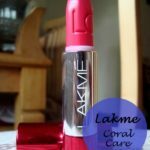 My recommendation: The lipstick is a beautiful pink matte but it seems to dry a bit so I would say if you are a matte lover then only try it else I think you should skip this range. 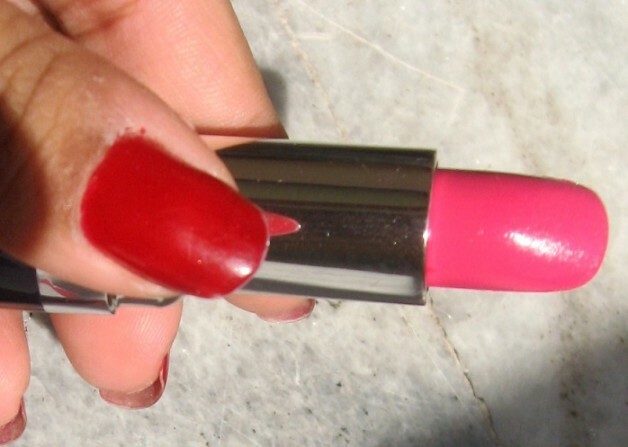 Coming to the shade, it is a bit neonish so if you love bold shades then do try it. Over all the range is nice but this shade particularly might not suit everyone. laks recently posted…Wedding Jewelry – All that Glitters is Gold!!! oh the swatches are so beautiful!!!!!!!!! What a pretty color. But the powder matte lipsticks are too drying. I have one shade and I dont use it too often. Lana Ray recently posted…Empties #1 – A post I thought I’d never do! 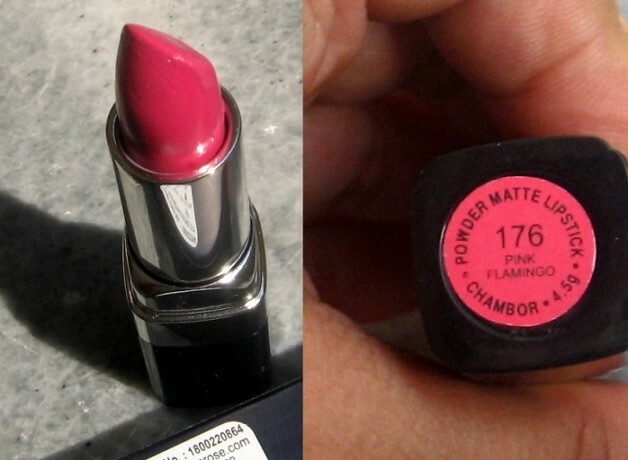 Love the name, Flamingo..nice shade..
What a gorgeous color. I love bright pinks for summer.